How did you come up with the idea of a Peer-to-Peer Lending platform? So, what happened after this "Wow" moment? Seems you resent this time in a big corporation? I tried to do my best during the project. But you know, when you don’t like something you're doing, you cannot be good. So, I left. Indeed, I took 1-year sabbatical, leaving open the option to return working in the Group or not. What did you do during this sabbatical year? I spent 1-year backpacking, meeting plenty of new people, very different, opening my mind which was kind of narrowed by such a long time in a sleek world. I read a lot. Among dozens of books, may be this one I recommend: Zero marginal cost. I also opened up to the social medias, trying to understand something which was seen – at that time – as futile. During this year, I came up with something like 40 ideas of business, of startups indeed. At the same time, in the second part of the year, I renewed contact with the Group to see what was going on and what would be the options. Nothing appealing. Therefore, the process of leaving the Corporate world and entering the entrepreneurship one really started. 40 business ideas! How did you choose? It became clear that the only reasonable option was to build on the experience acquired during these numerous years, creating a Peer-to-Peer Lending platform with the ambition to provide consumer credits in a better way than traditional players. 3 weeks to cook a memo, a high-level view of the project. Something we called the Founding Memo. It’s all about the values, the mission and assembling a team sharing the same vision. As I was still travelling, putting on paper these things was mandatory. Indeed, it was a good thing to write. Writing is pushing you to go deep in the most important points and it requires clarity. I sent the memo to the small group of people I had in mind to invite in the project. Never been so busy! I was in Jericoacoara windsurfing. I spent 1 month there, great time and also working hard to give birth to the true founding memo. Something which was giving much more sense to our project, focusing on the things we could do in a better way for the benefit of the customers, the pillars. What are these pillars of Klear? The first one is "Fair and transparent". It's translated in many concrete real things, not just words. Our credit is simple with 1 single fee, no trick, no expensive complementary insurance. If the borrower is willing to terminate his credit, no barrier, no penalty, no bureaucracy. Not only did we decide to provide loans with cheaper conditions than banks, but we also put a cap to the APR much below the one imposed by the regulation or what is done by banks. What was written in this memo is done today. The second is "helping". Helping customers by providing free financial tools and advices, unbiased I mean. This is especially important for the people we cannot serve with a credit. Among all the ideas written, we have done some like the budget tool or many articles in our blog with valuable content. There are also things like debt advice that we still have to do. OK, Klear! And what was the reaction after this second memo? It was a GO. 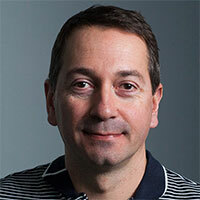 Lukasz even decided to invest his personal money and we became co-founders! Having a small group of people who count saying "Yes we believe in it and we want to be part of it" is the key trigger as nothing, even the best idea, can be achieved without great people. We met again in Sofia at the end of 2014 and progressively got the OK from various people to join the project, a project called Klear in the Slack channel we created to share plenty of things among us, Andrey, Biliyana, Joanna, Deyan, Plamen, Fani, … They decided to join because of the vision. You convince with that, especially if people are leaving a job paid more. Shares of the company were also promised, not only to compensate but more to have everybody feeling that Klear is also his baby. And when did you really start building Klear? It took indeed time to have everyone on board. Because all of us had a job, with commitments and some milestones to wait for before leaving. It was a strange period. In transition. Meeting in various secret places, James Bond style... It lasted months. The company was finally created in June 2015, we started working in the apartment of Lukasz before renting our office space. What did you do at the beginning? We were in a partial set up, mainly with business people and just 1 software developer as others would come later or would be recruited. We started by designing the product. A lot of research, brainstorming. Very intense and exciting phase. We also started creating videos, recording pieces of our sessions, something like the making of Klear. This helped us to attract our first followers on Facebook and LinkedIn. OK. But when did you start coding? Oops. Later than planned. The person who was supposed to join and to be our IT leader eventually did not come because of personal reasons. This was a blow. We spent summer 2015 trying to find and recruit software developers. It was a very tough period. We attracted many great people who loved the idea, but there was often a good reason not to come. Finally, we found our colleagues through our personal connections, Yuli, Ivan and ultimately Niki, the architect of our loan management system, who also became a co-founder. Bottom line, we really started coding our Peer-to-Peer platform around October 2015. And when did you launch Klear platform? More or less 1 year later. In August 2016, we financed our first credit and we opened the platform for investors in November 2016 once we had already disbursed 30 credits to have a populated marketplace. 1 year! It's a long build period, no? Yes, it is. But in parallel we developed the Financial Education side of our project. Beginning of 2016, we had our website alive with a free budget tool which people could use to plan their monthly budget and track their expenses. We also created a blog where we publish many articles about budgeting, personal finance, credits, … We put there a lot of energy to deliver what we believe are value added advices for everyone who wants to improve the management of its personal finance. And we got a strong support of writers, Katya, Milen and Nikolay who contributed a lot. The blog is not only providing added value to our readers, it also helped us to create a base of potential customers as well as generating leads thanks to our SEO optimization. Many of our articles appear on the first page when searching in Google about the theme. As mentioned earlier, this was when we were struggling to assemble the software development team. We also have some people who left the team. Human resources is the most important and sensitive domain in a startup. But by far the best is every time we meet one of our customer, early adopter, and we get "Klear, we love what you do". This is worthless! Let's conclude. What's now on your roadmap? We have a great product. We believe in it. Feedback from our customers is very positive and friendly. We just need to grow our customer base! Our main challenge is image and trust. We are not a bank and we are giving credits, so we are Berzi krediti... NO NO NO! I'm not saying we are slow:) I'm saying we are giving the best credits in Bulgaria, clear conditions and often cheaper than banks. And if we look at the other side of the marketplace, trust is also paramount. We need to prove that we are serious with managing the credit risk. So far, the risk is excellent. In a nutshell, we need to convince more and more people, good people, that we are doing something good, with good intentions, for the benefit of all. 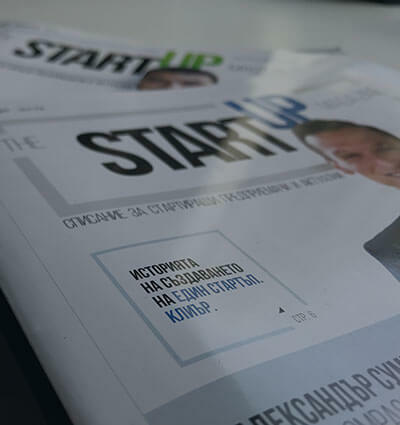 The article was first published in the second issue of THE STARTUP MAGAZINE.